An Advocate General is the foremost law officer to a state government appointed by the Governor of each State under the provisions of Article 165 of the Constitution of India. The position of Advocate General is similar to that of Attorney General of India (highest legal officer of the Government of India). The only difference is that an Advocate General does all the work at the state level. The Office of the Advocate General is highly constitutional and is an illustrious one. 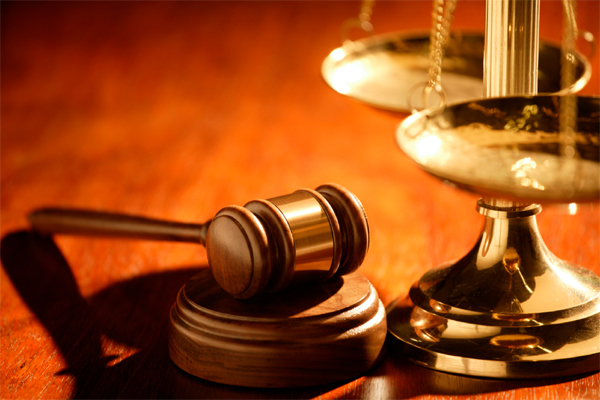 Advocate General has been endowed with all administrative and financial powers. He is the head of the Advocate General Office and is assisted by a team of Law Officers such as Additional Advocates General, Sr. Deputy Advocates General, Deputy Advocates General and Assistant Advocates General. The Advocate-general shall also exercise overall supervision over the offices of the Government Pleaders, Additional Government Pleaders, State Public Prosecutors, Additional State Public Prosecutors, and High Court Government Pleaders. These Law officers are basically engaged to deal with litigation work under the guidance and supervision of the Advocate General. The work relating to various subjects in the High Court is distributed among different Government Advocates and Government Pleaders. Similarly, the criminal work is distributed among the State Public Prosecutors, Additional State Public Prosecutors and others. Advocate General and his Law officers are basically engaged to deal with court cases in the High Court by the State Government, and the relationship between the Government and Law Officers is that of a client and counsel. They give valuable legal guidance to the State Government in the formulation of its policy and execution of its decision. Their duties also involve drafting and filing of petition, affidavits, statements, counter-affidavits and appeals. Advocate General plays an important role in political, legal, constitutional, statutory, legislative and administrative functions of the State. He has the right to speak and can participate in the proceedings of both the Houses of the State Legislatures, and also in the proceedings of any committee of the Legislature of which he may be named a member, but shall not be entitled to vote. He enjoys all legislative privileges, which are available to a member of a legislature. To give legal advice to the State Government on all legal matters, and perform all legal duties, that may be referred or assigned to him by the Governor from time to time. To discharge the functions conferred on him by or under the Constitution, or by any other law for the time being in force. To represent the State in civil or criminal cases including appeals and other proceedings filed in the High Courts and in the Supreme Court and various other Courts. He has the right to audience in any court of the state in which he is appointed as the Advocate General. He should never appear for a private party in cases against the Government. Those who aspire to be an Advocate General is required to have a legal education and a membership in any state bar council. The High Court Judges/Advocate Generals hold office up to the age of 62 years. The Advocate general is not a political appointee and is selected through a high level committee. As the Advocate General represents the whole state, he should have the courage to tell the government of any wrong or malafide decision it takes. So a forthright, intelligent person in the state is selected as Advocate General. Pay Scale of Advocate General varies greatly depending on the type of the cases (civil/criminal) and the courts they appear. The Advocate-General shall hold office during the pleasure of the Governor and receives such remuneration as may be determined by the Governor. The Advocate General of any state of India is offered a monthly remuneration in the form of fees for appearance in the courts. They get higher fee for appearance in the high court, and more for appearance in the Supreme Court on behalf of the state government. Advocate General also receives perks in the form of house accommodation, transportation etc.